First known image of Pluto (1930). 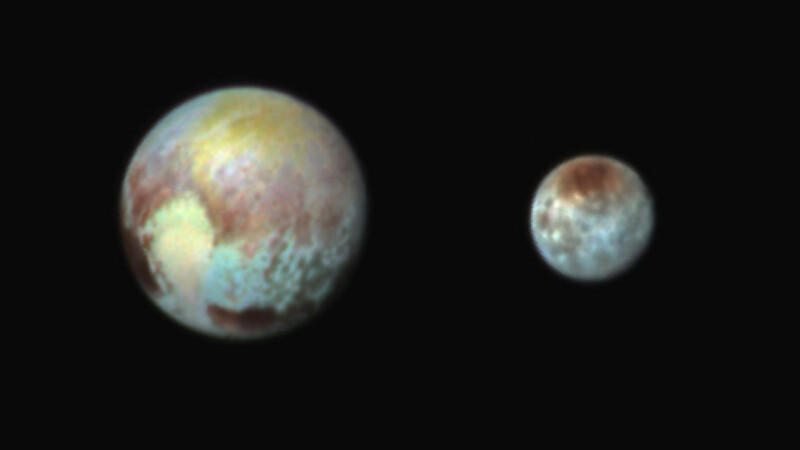 These are the images in which Pluto was found, because it changed position between the two images while the background stars stayed fixed. Pluto is a planet,. Pluto has spent it's life believing that it is a planet and doing planet like things. Modern thinking has taught us that planetness is largely a social construct, invented by a white, male, exclusionary, heterosexual patriarchy. As such, it is wrong to force a micro-aggressive name on this entity. "Planetoid" indeed. 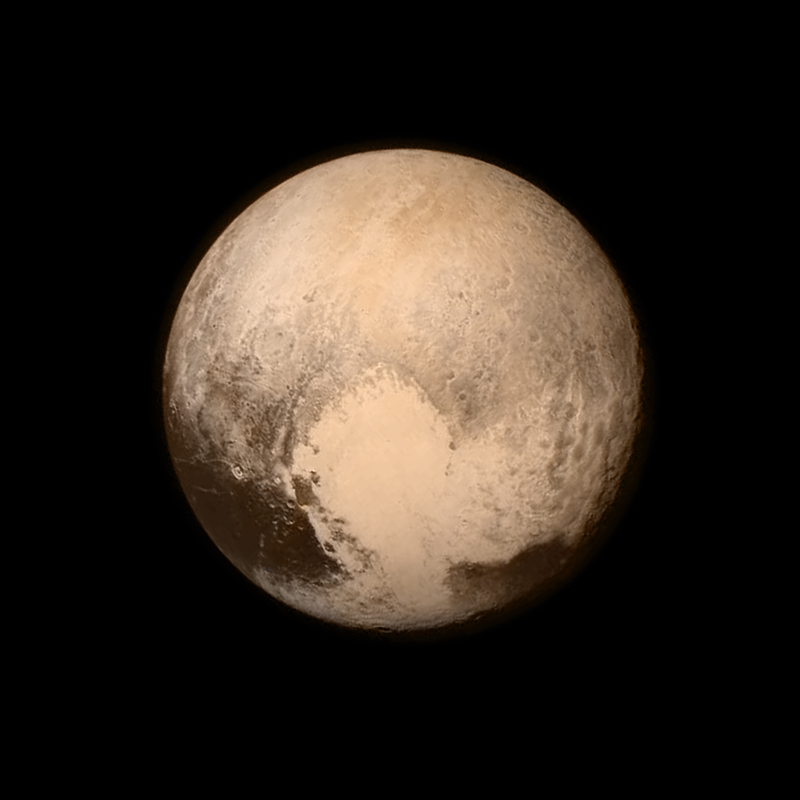 Pluto is what it wishes to be and glories in the flowering of it's planethood!! HONK if you support Pluto's planethood! Bruce wrote: My son didn't understand why I kept yelling HONK HONK HONK, but someday he will. Subtle indoctrination to accept authority. If you're smarter than a 5th grader you'd know better than to take multiple choice tests that are little better than push polls. Eris or Sedna or some Oort Cloud world yet unnamed. Bruce, if your son was a real smartarse, he'd have disallowed the question. Pluto and Neptune are both furthest from the son at times, due to Pluto's eccentric orbit. And it's still a boring rock. asthmatic camel wrote: And it's still a boring rock. Last edited by Bruce on Thu Jul 16, 2015 1:27 am, edited 1 time in total. Liquid during the early stages? Abdul Alhazred wrote: If you're smarter than a 5th grader you'd know better than to take multiple choice tests that are little better than push polls. You just described every SC poll ever. Probably because that far out there's just fewer objects in the same volume of space, hence fewer collisions. There are still a few craters you can see in the other photos though. 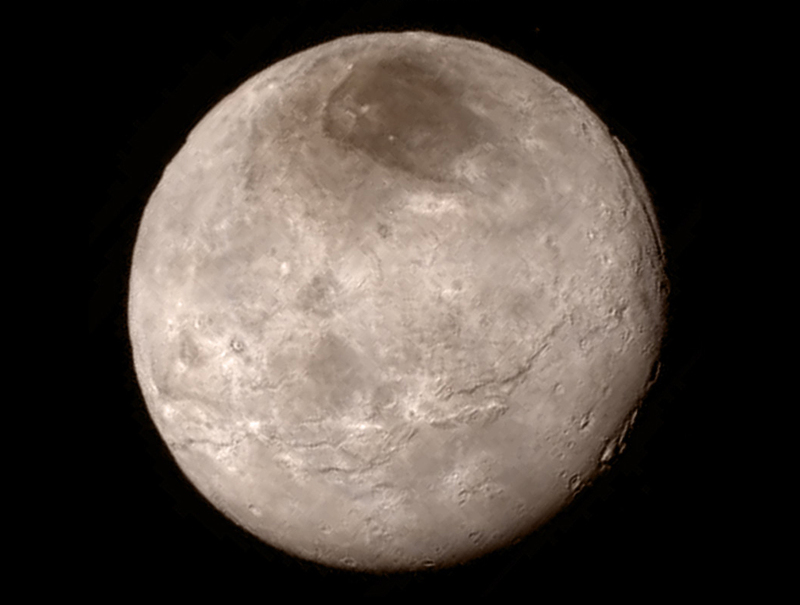 Charon doesn't appear to have a lot of craters either. They are implicitly admitting it was a planet all along. Honk honk honk ... Bastards. 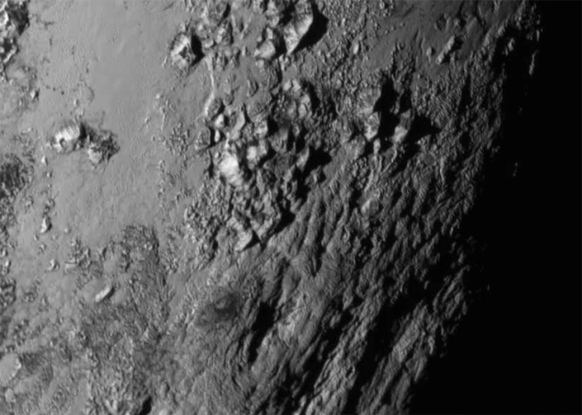 I guess there are more craters there than on the close-up of Pluto, no?